Today is a one-track day in Egypt. As you may have heard, it is the first day of the first round of the first competitive presidential elections to take place in Egyptian history. The room adjacent to where I am sitting, at the English-language newspaper where I work, is filled with my colleagues, busily fielding phone calls from reporters at polling stations, keeping the world up to date on the progress of the election that will in one way or another begin to solidify the next phase of Egyptian history. As often happens when political happenings overwhelm everything else, it is one of those days when it becomes difficult to feel confident in the relevance of my task at hand — in this case, coming up with something about art or literature or culture in general that feels worth blog-posting about. But sometimes the internet gives you a gift. Today this gift came to me in the form of an essay on HTML Giant by J.D. Jameson that includes an excellent summary and analysis of the theories of Viktor Shklovsky, the Russian formalist critic and author responsible for one of my very favorite novels. I have never read Shklovsky’s literary theory, though I have long intended to, and Jameson’s essay was a welcome introduction, with more to come (it is meant to be the beginning of a series). The essay is presented as a kind reflection on craft and form intended as food-for-thought for writers in the context of their writing. 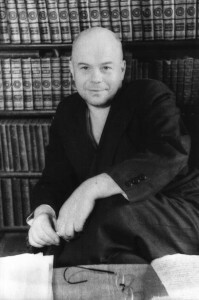 But Shklovsky’s theories are also rewarding for those trying to articulate to themselves what art is supposed to do and why it is important; why it continues to be important to think and talk about art in the middle of whatever else is happening in the world that might seem to matter in a more immediate way. Not an irrelevant thought in election season.